Yash was born in Paduvarahalli at Mysore. His Father Arun kumar and mother Pushpa. Yash's father Arun kumar was working in KSRTC as Driver. Yash's younger sister is Nandhini. Yash first work in TV Sireals. His debut movie is "Jambada Hudugi". He is my best actor . Yash is a complete package as an actor, but his talks sound fake and words are too sugar coated for one to digest. Be yourself Yash, u have succeeded leaving big stars behind, it is just that you need to be yourself and you will be a complete star - All the best!!!! 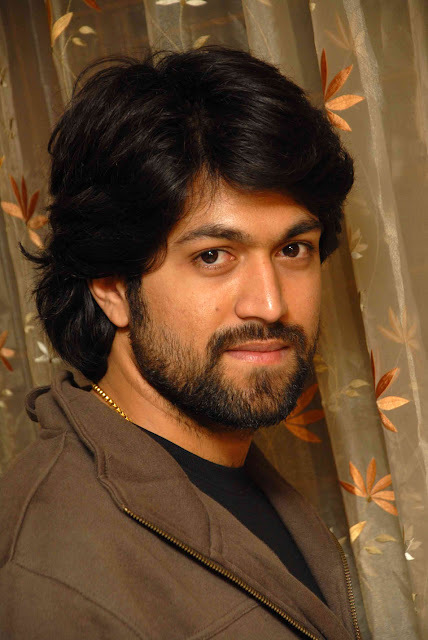 I love you more than anyone in this world, rocking star Yash.. I am your big big fan..
i love u a lot..... yash ,not only for your acting but also from your personal matter. Yash! Good to see you climbing ladder slowly. I wish you all the success in your life. And would appreciate if you maintain your dignity like past legends actors in sandlehood . And would like to see you in that legend list. yash is my life spirit/ happy birth day sir. Yash I love you sooo much....than all. I have watched all Your movies. Daily I will see your photos in Google. ROCKING STAR YASH. My Favorite Hero Racking Star Yes . I'm A Ur Big Fan From Basavakalyan Bidar.